So it’s game day. Are you ready for some football? Damn straight! Do you have your jersey? Check! Beer helmet? Mos def! The case of brewskies? You know it? The appetizer your friend asked you to bring for their Super Bowl party? Wait, what? You do know that the game starts in an hour, right? Oh, &$%#! 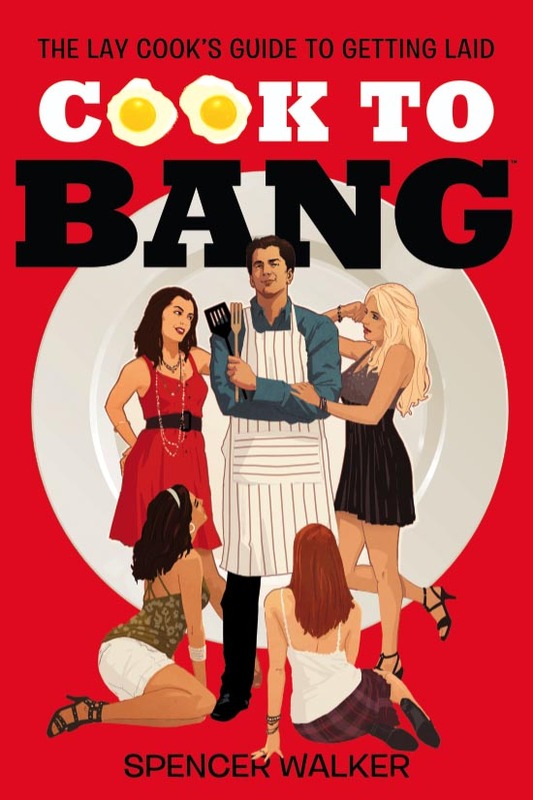 Before you go postal on us, just know COOK TO BANG has a solution for you. This dish is simple enough for a syphilitic monkey to do and a guaranteed football crowd pleaser. You will inspire greatness in everyone attending who will then sing your praises, followed by a chorus of Queen’s “We Are The Champions.” Now that you have your theme song backing you up, turn your attention to that single hottie across the room. Walk right over, sit down next to them, and offer baked piece of heaven. Way to go, champ! 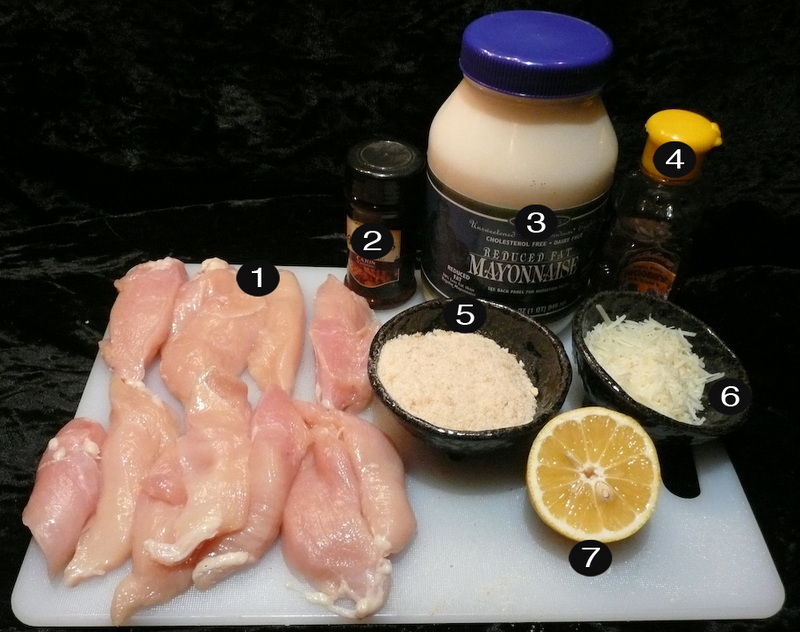 Create a marinade for the chicken by putting the meat in a bowl, then squeezing the lemon juice, Cajun seasoning and mayonnaise. Mix it all around and let the flavors absorb (approx 5 minutes). Fill a Zip-lock bag with the Parmesan and breadcrumbs and shake them around so they mix evenly. Shake each chicken strip one by one in the bag so the breading sticks to them. 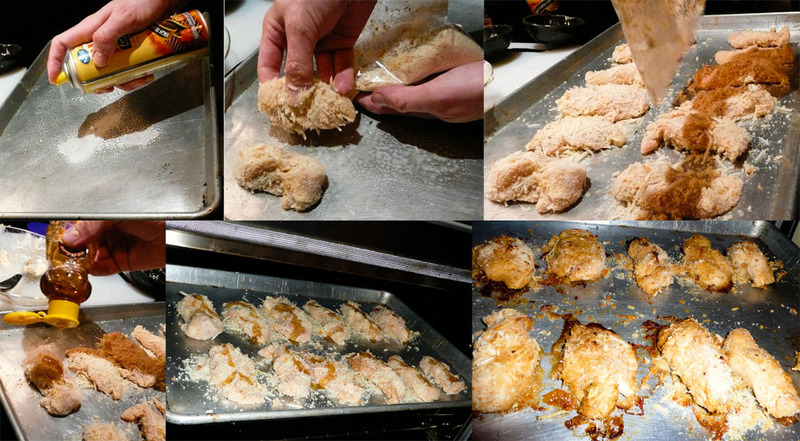 Preheat the oven to 350 degrees F. Grease a baking sheet with either butter or cooking spray. Set out each of the shaken chicken tenders leaving space in between. Shake whatever breading remains in the bag onto the chicken pieces. Squeeze the honey evenly over each piece of chicken. Shove into the oven and bake until the crust browns (approx 20 minutes). 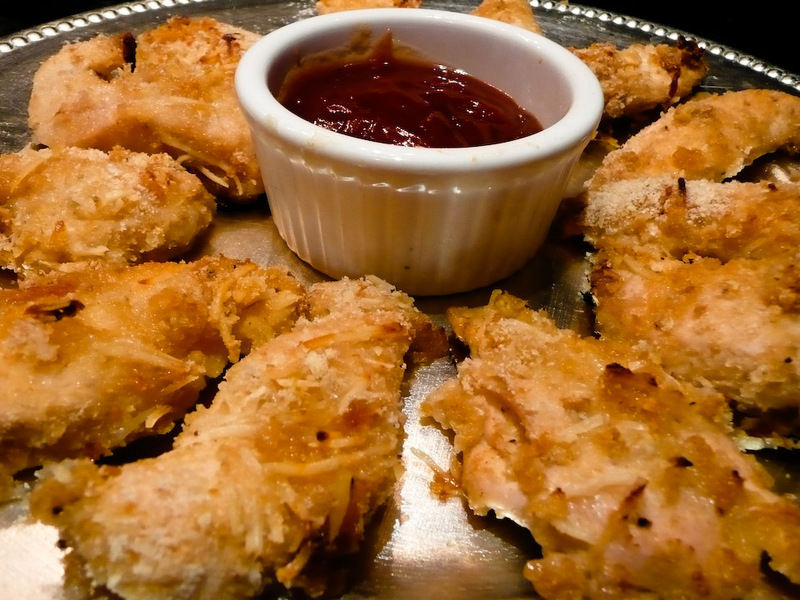 Serve up on a platter with your favorite dipping sauce: BBQ, ketchup, honey mustard dip, ranch dressing, etc. You are the champion, my friend! And you will keep banging to the end! Cuz you are the champion…of the kitchen. This entry was posted on Monday, November 9th, 2015 at 8:12 am and is filed under FINGER FOOD FOREPLAY, RECIPES, sports, Super bowl, winter. You can follow any responses to this entry through the RSS 2.0 feed. You can leave a response, or trackback from your own site.